Much as the national football team the Uganda Cranes did not qualify to represent Uganda at the World Cup that has officially started in Russia, Uganda’s soccer fans are filled with equal or more excitement and anxiety like those who are represented in this most prestigious football tournament and they have different stakes and expectations from the competition. Ugandans have remained hopeful for the Cranes to feature in the World Cup and these hopes were boosted by the recent progress of the national team when they qualified for the Africa Cup of Nations in 2016 where they had taken almost 40 years without featuring. This strengthened the faith and increased the hope that may be one day the Uganda National Anthem will be among those to be sung at planet’s biggest football competition. Nevertheless Ugandans have no reasons to worry.The pearl of Africa has a lot to offer to the international community in the tourism industry. Travelers to Uganda are blessed with life changing gorilla treks in Bwindi and Mgahinga, game viewing safaris, mountain climbing, birding watching and cultural encounters which together form a complete Uganda safari package. Also, the pearl of Africa is known for her rich tourism industry biodiversity that is unrivaled across the continent and the globe at large and other sectors are expected to follow on that ladder of development including sports. All that said, we would like to know what could be Uganda’s stake at this year’s competition. Well, it should be boldly stated that Ugandans have been having great stake at International football since its breakthrough into the hearts of Ugandan football lovers in the early 90s. Therefore we can say that Ugandans started catching up the spirit of World Cup from the Italia 90 tournament basically because of the economic recovery brought about by the peace the country had started to enjoy after the long period of civil wars that had entangled the country up to 1986. Today most Ugandan football elites narrate their world cup moments starting from the 1990 tournament. Moving away from the national level to the continental level, the decision by FIFA to include 5 African nations to represent the continent at the global tournament also gave Ugandans a big reason to crave for the tournament. Ugandans have relentlessly shown their support and affection to all the African representatives since their initiation into the competition. The likes of Nigeria, Ghana, Cameroon, Egypt and Senegal that have been regular representatives of Africa have received a huge fan base from Uganda despite all having failed to go beyond the quarterfinals since making their first appearance at the competition to date, hopefully it will not be the same this time round. Having witnessed the past winners and the most dominant sides in the competition including Brazil, Germany, England, Italy, France, Spain and Argentina, today Ugandans can ably predict the competition’s favorites and indeed its these nations that have won the support of most Ugandan soccer lovers. This is also hugely backed up by the big influence of these countries’ professional football leagues that has eaten up the hearts of Ugandan fans. These include English Premier League with Ugandans favorite clubs like Arsenal, Manchester United, Chelsea, Liverpool and Manchester City. The Spanish La Liga has the second largest fan base in Uganda especially for their top two clubs of Barcelona and Real Madrid. The trend is that most Ugandan fans tend to follow and support those countries that have got influential players in the clubs they love. For example you are likely to find most Ugandan Arsenal fans also supporting Germany because of the love for their playmaker and German midfielder Mesut Ozil and the trend continues like that even with other fans for other clubs. Secondly the closest factor that comes after that of professional football relationships to draw Ugandans close to the World Cup is that of a financial benefit. We all know that there is betting in professional football, right? This has not excluded the pearl of Africa dwellers since they also want know how the bread from this gaming money tastes like. As you travel along the busy streets of Kampala you will see some opportunist Ugandans lining up in betting houses trying to calculate the favorable odds to win them fortunes during this busy soccer period. This will really keep them on their toes following the tournament closely as it proceeds. We cannot also deny that there are some Ugandans who watch the tournament genuinely for fun and partly because of its big influence in the International leisure, sports and entertainment industries. There is no doubt that the World Cup is highly advertised across all media channels hence people rarely spend more than two hours without watching, reading or hearing something related to this completion. This makes it so popular among Ugandans and creates that anxiety in them to watch it and see what it has to offer after such a huge publicity. Forgetting the impact of the World Cup trophy International tour can jeopardize our conclusion. The trophy has been brought to Uganda on two occasions so far the first one being in 2009 before the kicking off of the tournament in South Africa and the second was early this year. It is always first received by the president and then displayed for public viewing hence creating more eagerness among Ugandans to see who will officially emerge victorious of this prestigious prize. However, this time round Ugandans are going to watch the competition when they are more alert and sober than in 2010 when a tragedy happened and over 76 people were bombed to death at the hands of terrorists while watching the World Cup final at Lugogo. 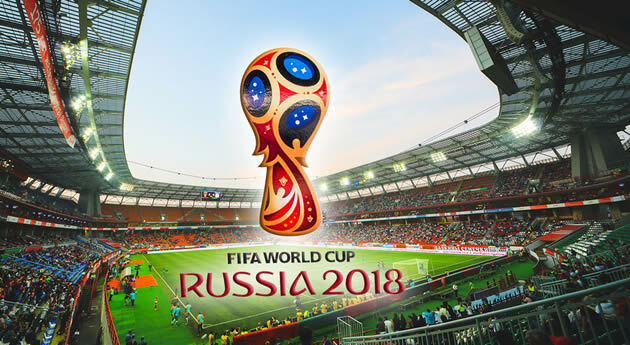 Otherwise moods are so high and fans are anxious about who will win this year’s tournament in Russia with majority predicting five time winners Brazil to lift the trophy though defending champions Germany, France, Spain and Argentina are also tipped by many to be victorious.